This beautiful dress was made in September 2014 by Taylor Dresses. It is primarily black velvet with gold sequin design. Dress is in very good condition and has been worn less than 10 times. 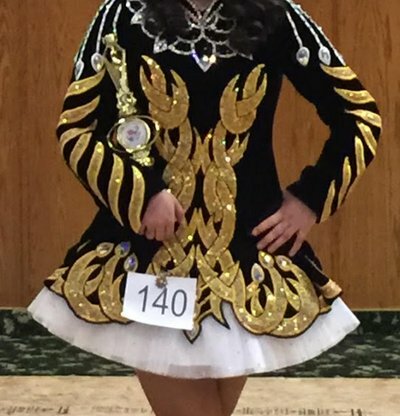 Dancer wears dress size 8-10 and is about 5′4″. Includes bloomers and headband.